As made evident by our never-ending quest to master (and help our readers master) office dressing, it’s anything but an easy feat. And, if it wasn’t hard enough, it’s definitely not made any simpler by rising temperatures. While in the colder months, you could throw on a layer over or under almost anything to make it office-appropriate, when summer hits you’re forced to do just the opposite and wear as few as possible—making every item more important. The good news is that today, thanks to our namesake collection for Target, we’ve been able to round up 22 warm-weather work pieces to keep you cool, both literally and figuratively. They’re so stylish, you’ll want to wear them on and off the clock, so more wasting money on work clothes you’ll never want to wear again. You can thank us later, but for now, scroll through to start shopping! You can never have enough light summer tops. We'll be wearing this all season. This unexpected color will actually pair perfectly with all your favorite pieces. Depending on your office culture, this could be a perfect Summer Friday piece. If you don't own these in at least one color, you're missing out. Theres nothing like a simple skirt. This print is too good to pass up. Stripes are our flattering go-to print. The amazing thing about gingham, aside from that it’s a timeless print, is that it goes well with not only all colors, but other prints, too. 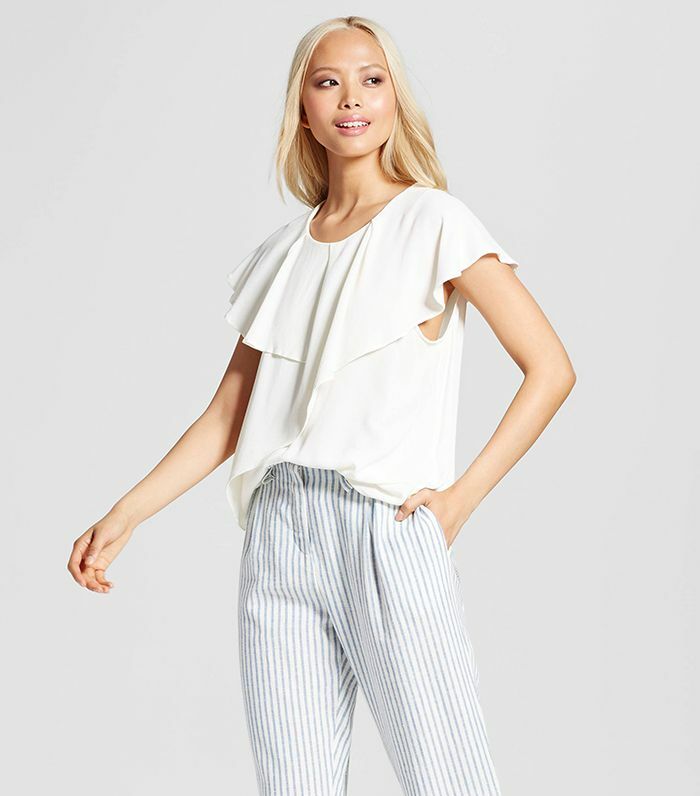 Swap your basic top for this fun striped version. Ruffles make a simple black pant feel special. Also available in sized 14 to 26. Remember what we said about gingham? For those days when a high heel is not in the cards. A chic black top is a must for every wardrobe. Florals will brighten up any work look. Swap your basic black pumps for these summer-ready sandals. The epitome of easy and breezy. Want more affordable and fashionable finds? Shop the full Who What Wear collection for summer here.